Which arrondissement in Paris holds the park named after the Campus Martius of Rome? | Cafe Arjun - 15 times WordPress Top Blog! 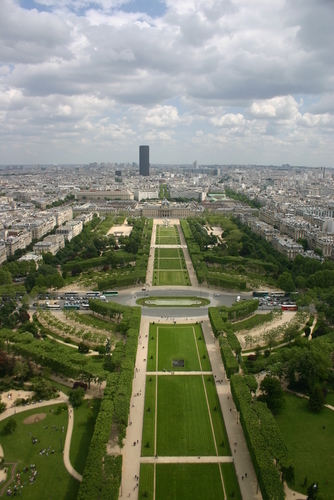 Which arrondissement in Paris holds the park named after the Campus Martius of Rome? This one wasn’t very easy to find, but didn’t take too long either. What is an Arrondissement? Just like we have districts, boroughs or other regions that divide administrative block in a city, Paris has 20 arrondisements that define 20 different administrative blocks. Arrondisement literally means administrative block. Well, after I found that it was Champ de Mars – the park named after Campus Martius of Rome, all I needed to do was search that on Google, and voila! Wikipedia said it’s the 7th arrondissement! Best of luck people! Haven’t won anything yet.. but I hope someone benefits. Tags : arrondissement Paris Campus Martius of Rome, park named after the Campus Martius of Rome, what is Arrondissement?, Which arrondissement in Paris holds the park named after the Campus Martius of Rome? ← ACT Scores out today!! ACT Students click here! Thanks for the translations…and help. Thanks for the answer and other info. I hope someone is winning in this contest! I keep seeing “Sorry”. Thanks for the answer and for all of the great information! I appreciate it! Thanks for the information on arrondissement and on the area arround the Eiffel Tower. Appreciated your diligence in finding this one! Good information. Thanks for the details. Noticed your blog due to the Marriott contest. I like to find the answers myself but feeling ill enough today to let you help me answer the question! Interestingly, a correct or incorrect answer each warrant an entry into the contest. I noticed the blog on Bamjan. What is your faith? How do you feel about this boy? Thanks for the exolanation and more the beautiful picture of the park. Its gorgeous. I have not won anything either. It is fun though. Great to find all of “you”. Thanks for the beautiful photo! I need to get there one day! hey thanks for posting this.